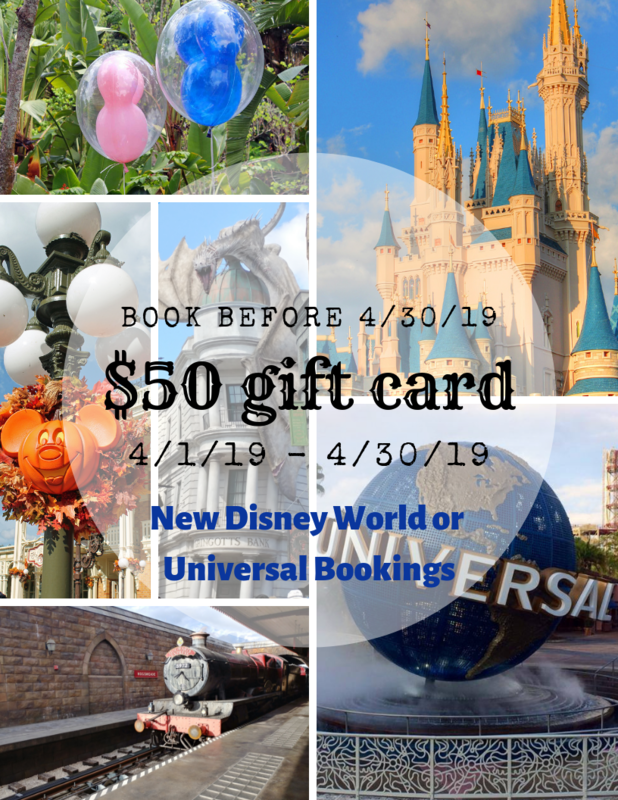 Book your Walt Disney World or Universal Orlando Package with MackeyMouse Travel 4/1/19 - 4/30/19 and get a $50 gift card. Reservation must have deposit paid on it, booked between 4/1/19 - 4/30/19 with travel any time in 2019. Disney package must include a minimum of 4 nights, 3 day tickets with a dining plan added on Walt Disney Resort property. Universal package must include a minimum of 3 nights, 2 day park to park ticket on Universal Orlando Resort property. Gift card (Disney Gift Card for Disney reservation and Universal Gift Card for Universal reservation) will be given to you with your travel documents after final payment on the reservation has been made. ​Any date change for travel beyond 2019 forfeits promotion. 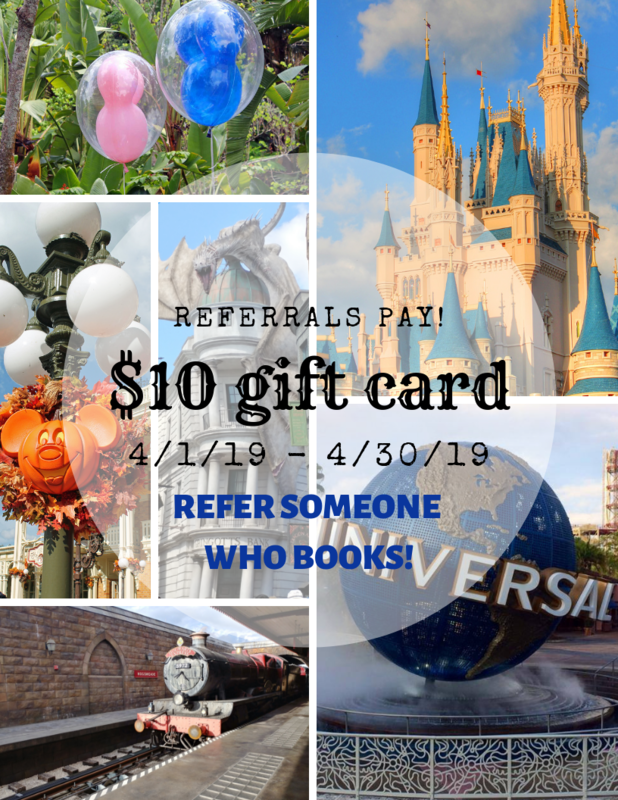 Refer a client to MackeyMouse Travel, they book their Walt Disney World or Universal Orlando Package with us, you'll get a $10 gift card! Gift card of $10 will be paid for referrals when final payment is made on the trip. ​Any date changes beyond 2019 travel forfeits promotion.